We offer same day carpet cleaning in Anaheim, CA. It is highly important for us to make it widely known that we offer same day carpet cleaning in Anaheim and surrounding areas. 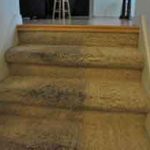 The reason for it is that quite often when you locate us and call to schedule an immediate carpet cleaning service, it is not easy for us to maneuver if its late in the day. Therefore, we attempt to reach to you early enough. That way we have many more options for adjusting our schedule.In addition, we understand how important our same day carpet cleaning service in Anaheim is to you. That could be derived due to few reasons. 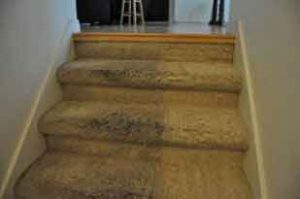 The top factors that demand a same day carpet cleaning service are move in/out carpet cleaning, pet stains and water damage. Move in/move out same day carpet cleaning in Anaheim. When it is time for you to move anywhere, you are overloaded with errands. Normally, you would leave carpet cleaning for the last errand, and for a good reason. 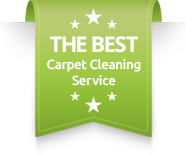 Therefore, you are getting caught last minute without an appointment for carpet cleaning. When you need to have a walk through to move in, or before the movers arrive with your furniture, we are able to squeeze it in for you. Same day carpet cleaning in Anaheim for pet stains. Pet stains and odor removal is an important service at any point. However, in some cases it is so sever that an immediate response is needed. Therefore, we got you covered with your pet stains needs. We will come and deep clean and extract the pet stains and the bacteria off your carpet. Leaving it cleaner and fresher for you to enjoy. Same day carpet cleaning in Anaheim fr water damage and restoration. We can never foresee a pip leak or any other water damage happening in our home. Nevertheless, treating the water damage and attending immediate is vital. Therefore, you can count on our same day carpet cleaning in Anaheim, CA.Please contact Dr. Carpet Anaheim for same day carpet cleaning in Anaheim and surrounding areas.